On February 12, a joint meeting of the FDA Psychopharmacologic Drugs Advisory Committee and Drug Safety and Risk Management Advisory Committee endorsed Janssen Pharmaceuticals’ — a division of Johnson & Johnson — experimental nasal spray for depression despite a mixed bag of clinical trial results. The panel voted 14-2 to approve esketamine for major depression in patients who had not benefited despite trying two or more antidepressants. I serve as the consumer representative on the first committee and I was one of the two no votes. This fast-acting nasal spray, esketamine, is a chemical mirror image of the anesthetic ketamine, which is often used by veterinarians to sedate animals but is also a Schedule III drug known on the street as “Special K,” thanks to its dissociative and hallucinogenic effects. Esketamine was developed in an effort to help the millions of people who suffer from persistent depression and do not respond to current antidepressant products. The nasal spray is seen as a potential substantial improvement over existing therapies for treatment-resistant depression (TRD), considered a serious or life-threatening condition. In theory, a drug that provides rapid relief within 24 hours vs the standard four to six weeks for the current antidepressants on the market sounds good. However, the disease label of TRD is also the new buzzword allowing drug companies to obtain FDA Fast Track status or Breakthrough Therapy designation without having to go through more rigorous testing protocols. Such designation gives a pharmaceutical company the ability to present smaller, fewer clinical trials in order to get their drug to market quicker. 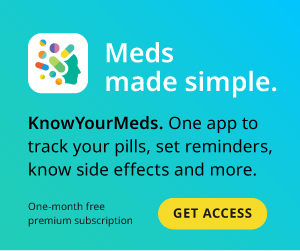 While most approved antidepressants currently on the market had to show effectiveness data from at least two positive short-term trials, Janssen only presented one positive short-term trial and the second is an incomplete picture as it is from a trial testing esketamine’s effects after the drug is stopped. Janssen’s other trials failed to meet their primary endpoints for efficacy. Additionally, there were also clinical trial participant suicides that occurred during the studies. However, these were glossed over and presented as unrelated to the “study” drug. In my opinion, we need more information on the potential link to suicide before an assumption can be made that it’s safe. Despite all of this, several members of the committees perceived this new drug as a potential “game changer” in the way depression is treated. I, however, am NOT one of them. I take my role as the consumer representative very seriously and want to make sure that any drug that the FDA approves shows greater benefit than potential harm. There are real-world implications once these drugs are approved and on the market, advertised with an FDA stamp of approval on them, and counted on without question by the doctors prescribing them and the potential millions of people who will take them. Safety will always be my top priority and I didn’t feel this was similarly the case for the manufacturer as it rushed this esketamine nasal spray through the approval process. I cannot vote for something when the perceived benefits do not clearly and demonstrably outweigh the potential for known harms such as sedation, dissociation, and long-term cognitive or memory loss. These are all especially concerning considering the extremely limited positive clinical trial results. Too many times I have seen that as soon as one of these controversial drugs gets approved, the drug company’s PR and advertising machine immediately kicks into hyperdrive. The media will be given talking points and tout it as a “breakthrough” treatment for depression that works within mere hours of inhaling the drug, and people will start lining up at their doctor’s offices. Fact in point, just a day after this meeting, news of this meeting and drug was all over the national media appealing to America’s “quick fix” culture. At one time, SSRI antidepressants were seen as “game changers” beginning with the launch of Prozac (fluoxetine) in the late 1980s. Little did the medical establishment and general public know then what we clearly now know today about all the associated dangers, such as a risk for suicide and withdrawal issues, that come with taking these medicines. It is in the rush to market without sound clinical testing and trials that proves efficacy, without potential horrible side effects or outcomes, that we set society up for misuse of medical drugs and create the very real potential for heartache and disappointment for many. Time will tell, but as I always say, we — the American public — are the real clinical trial. We pay the ultimate price for the lowering of FDA standards for drug approvals. Kim Witczak is an advertising/marketing communications professional with over 20 years of experience for a variety of industries as well as non-profit/advocacy campaigns. She runs WoodyMatters, a non-profit patient safety advocacy organization focused on saving patients from adverse effects of unsafe medical products.